J-20 fighter jets are seen during the 12th China International Aviation and Aerospace Exhibition, also known as Airshow China 2018, in Zhuhai City, south China’s Guangdong Province, 11 November 2018. The building of a stronger modern air force is in line with the overall goal of building national defense and the armed forces, Lieutenant General Xu Anxiang, deputy commander of Chinese Air Force, said at a press conference on celebrating the 69th anniversary of the establishment of Chinese Air Force held in Zhuhai, south China’s Guangdong Province. 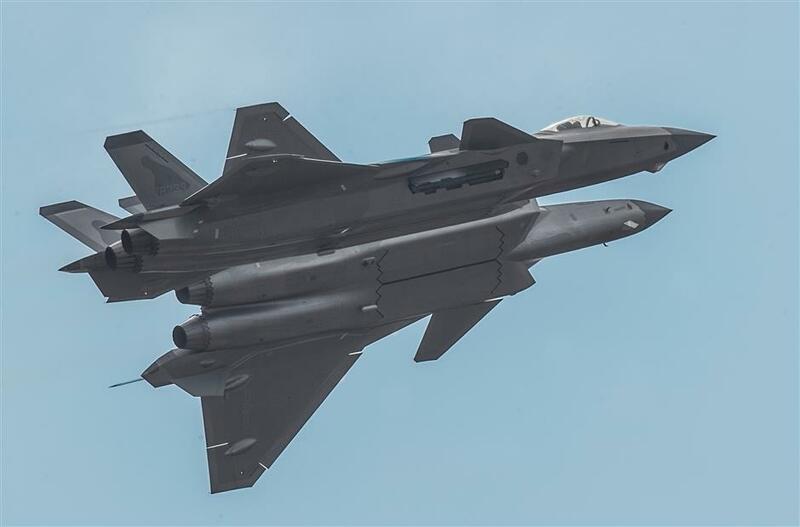 China’s Foreign Ministry on Friday demanded the United States to immediately correct its wrongdoing and withdraw “sanctions” on the Chinese military. “China is strongly indignant at the unreasonable move on the part of the United States and has lodged stern representations to the US side,” Foreign Ministry spokesperson Geng Shuang told a routine press briefing. “The US move seriously breached the basic rules of international relations and severely harmed relations between the two countries as well as the two militaries,” Geng said.